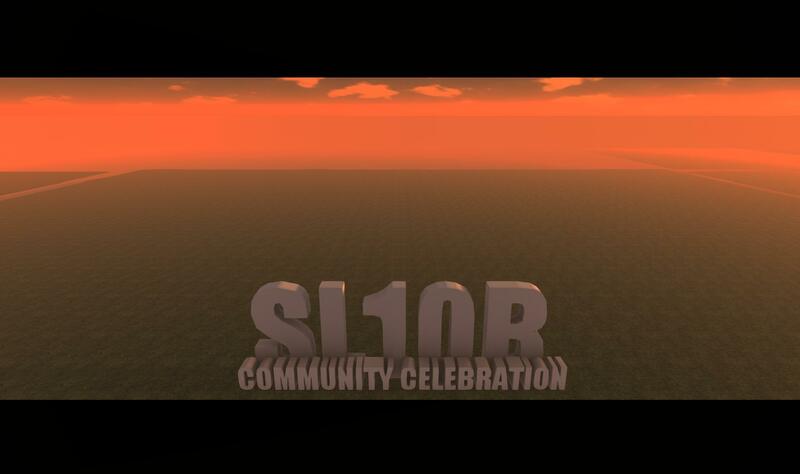 The regions for the SL10B Community Celebration have landed! The twenty regions for the SL10B Community Celebration have arrived on the grid! However, they’re not open yet. There’s still a lot of work to be doing prepping the ground ready for the influx of builders and then visitors. Our team will be working on building the stages and other areas such as the auditorium and the arrival area over the coming weeks – and preparing the plots that people will be able to apply for very shortly. Those applications open on April 15th and we’ll be telling you more about how to apply shortly – so watch this space!